Learn how to transform an ordinary backyard garden into a true showpiece. Originally published in 1924, Peter Bisset shares with readers timeless advice and tips for creating a variety of water gardens. After experiencing one, it's easy to see why these gardens hold such appeal; these splashing fountains and ponds make hot days seem cooler, and they also attract birds and butterflies to your backyard. Even tiny tabletop fountains offer soothing sounds to drown out a busy street or a noisy neighbor.The Water Gardening Idea Book gives in full detail all the practical information necessary for the selection, grouping, and successful cultivation of aquatic and other plants required in the making of a water garden and its surroundings. It's perfect for both amateurs and those with green thumbs looking to take their gardens to the next level. Readers will enjoy projects of varying difficulty, starting with simple container gardens to the large estate or park fountains and ponds. 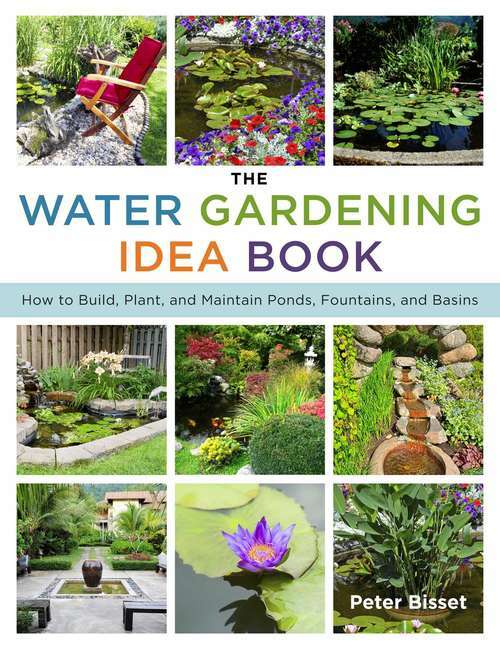 Whether you're interested in creating a casual pond or a formal fountain, with The Water Gardening Idea Book you'll be able to create them with confidence.